Arlo SoHo has officially announced the launch of their new onsite cocktail bar A.L.B. (Arlo Lobby Bar). The re-imagined concept takes guests on a journey through New York City by way of their clever cocktail list that is organized by four general neighborhoods (i.e. Uptown, Downtown, Midtown, SoHo). The list boasts cocktail names such as Instagram Model, which is obviously listed under the SoHo section of the menu, and Smooth Jazz, which is listed under Uptown as a tribute to Harlem’s roots. The A.L.B. beverage program is led by Arlo Hotels’ Food & Beverage Director, Gary Wallach - a New York City native who wanted to give both tourists, and locals something to be excited about through the playfully relevant cocktail names and menu design. “New York City is a melting pot of people, art, inspiration, beauty, and grit - I wanted to capture this energy and pay homage to an incomparable city by creating a menu that both throws back and looks forward to this ever-evolving, creative epicenter”, says Wallach. A.L.B’s creatively crafted drink list features 24 cocktails in total and covers a wide range of offerings for all sorts of imbibers. For those looking for something with a little less ABV, the menu also notes creations that can be made non-alcoholic such as the Illegal Poker Game with lychee, thai chile, ginger, kalamanasi, shiso and lime (can add Asbolut Elyx Vodka) from Downtown, or the Buy My Demo made with beet, smoked raspberry, black pepper and lime (can add Hendrick’s Gin and Campari) from Midtown. 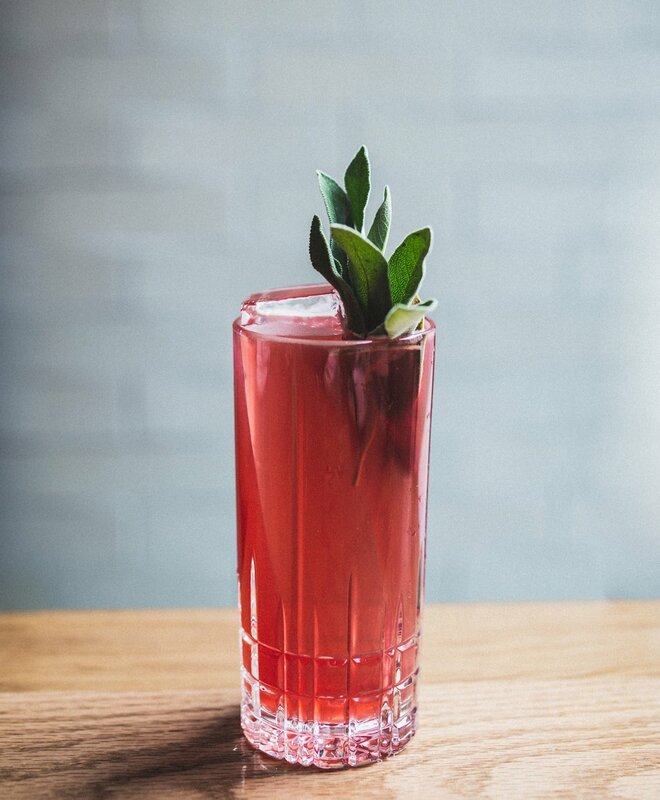 “If I had to pick a current favorite, it would be the Pick Up Game - Avion reposado tequila, Del Maguey Vida mezcal, rhubarb liqueur, pecan orgeat, strawberry, and lime juice,” says bartender, Kyle Tuck. “With the right finesse it is the perfect combo.” In addition to their impressive cocktails, the beverage menu also includes an expansive selection of sommelier curated wines and beer.